Reactions to Maroon 5’s Super Bowl LIII halftime show have been mixed, to say the least, but that isn’t going to bring down their frontman. Adam Levine took to Instagram on Sunday and made sure to mention critics in a post reflecting on Maroon 5’s performance and his feelings about it. Rather than clap back at the more negative comments and memes, he simply thanked his critics for their feedback on the show. Levine also revealed the list of words that were written on those lanterns, including “forgive,” “share,” “endure,” “enlighten,” “sweat,” “elevate,” “dream,” “educate” and more. 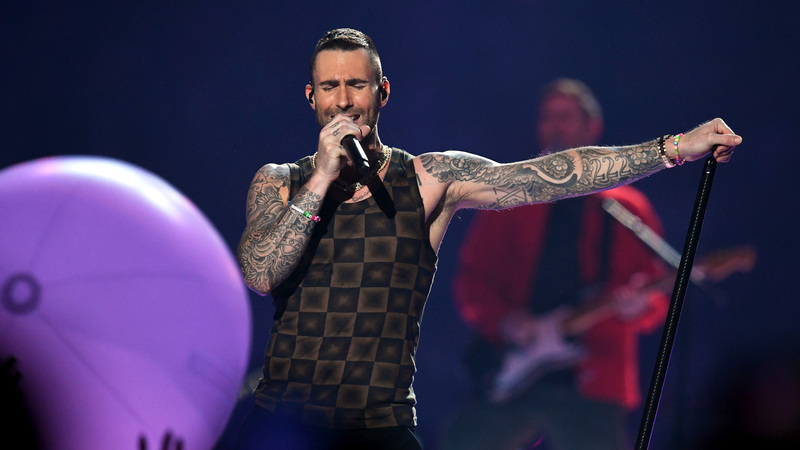 For Maroon 5’s halftime show set, the band played a medley of hits, including “Harder to Breathe,” “Girls Like You,” “Sugar,” “She Will Be Loved” and “Moves Like Jagger.” They also featured special guests Travis Scott, Big Boi, a gospel choir and a drum line as well as a special cameo by SpongeBob SquarePants, whose creator, Stephen Hillenburg, died in November. Despite fans being vocal on social media about wanting the band to play “Sweet Victory” in his honor, after SpongeBob and his pals sang the song in a very memorable episode, the song didn’t make the cut.